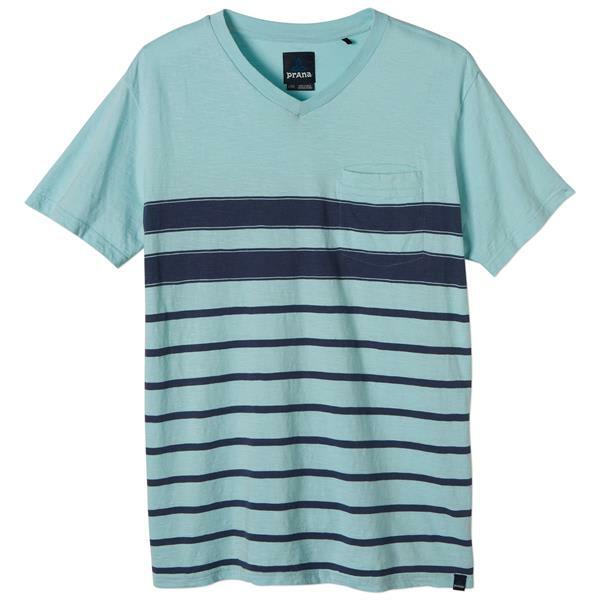 100% organic cotton adds conscience to the prAna Breyson V-Neck''s classic style. Stripes in soft and lightweight cotton are perfect for a spring day. Fair Trade Certification supports better working conditions for the factory workers who make it, through investment of a premium of each item sold into social development projects.